Valentine is just a month in the corner, have you prepare you dress for the special date or dinner with your boyfriend? Or maybe a party with the ladies? 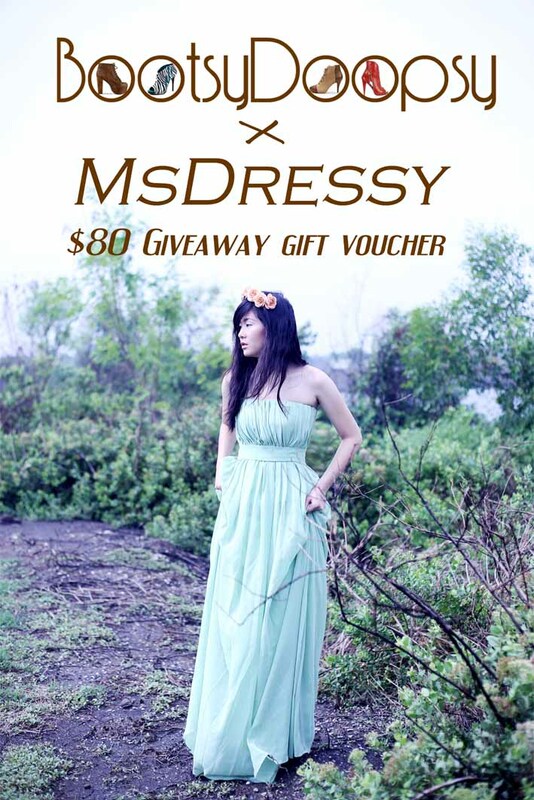 Here we are with a wonderful giveaway organized in collaboration with Msdressy, online store I love! Do you want to discover it you too? Get your dream dress by join this giveaway! Follow the simple rules below and you'll have the chance to win an $80 gift voucher! Ready? Go! 1. You need an account at Msdressy, please make one if you haven't yet, don't worry, it's free! 5. Leave a comment with the name and email you registered in Msdressy here, or on facebook page. This is very important so they can send you the prize! I will choose the winners via random.org. The giveaway closes on January 28th and it OPEN for International! by the way wanna follow each other?